Max is a wild 8 year old boy who really just wants someone to play with. He really wants to play with his sister, but she is getting older and wants nothing to do with her little brother. His mother has a new boyfriend, so she has less time to spend with Max. He can’t seem to control anything in his life and just doesn’t understand a lot of what is going on around him. Most of the story is his escape from his world and into one that he has control over. The story is well paced, easy to read, hilarious, and just plain crazy. Eggers’s book focuses a lot more on the characters in the story. He really adds more to them than what you watch in the movie. Each creature has its own personality and they are extremely dysfunctional in the book. They go from from being happy and having fun to becoming very angry and wanting to eat everything in a split second. They are also very scary for this reason. Some have very strange habits as well, which is actually funny, but I don’t want to give anything away if you haven’t read this book yet. 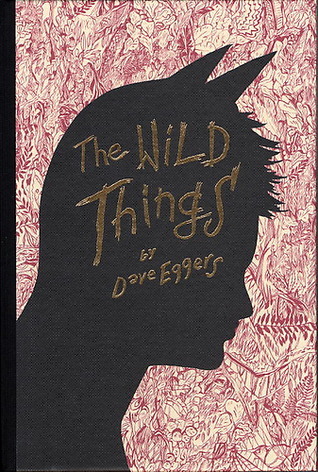 I really enjoyed The Wild Things by Dave Eggers. I was looking for something different than the fantasy books I normally read. This was definitely one of those books. From the beginning, it was funny, entertaining, and interesting. Then, when you are introduced to the monsters it also becomes a little creepy and crazy. This book is basically a full length version of the picture book and adds more to the movie. If you have enjoyed these, then you will enjoy this book too. I only recommend this book to young adults and adults as it would probably be to scary and violent for younger children.